Learns better by watching or reading. Prefers the uses of visual objects such as graphs, charts, pictures, etc. Able to memorize and recall various information. Tends to remember things that are written down. Use outlines or mind maps to review for exams. The most common way to do this is to put the main idea in the center of the page, then draw branches out to secondary ideas to see how different concepts relate to each other. Use Flash Cards to remember important details and facts. 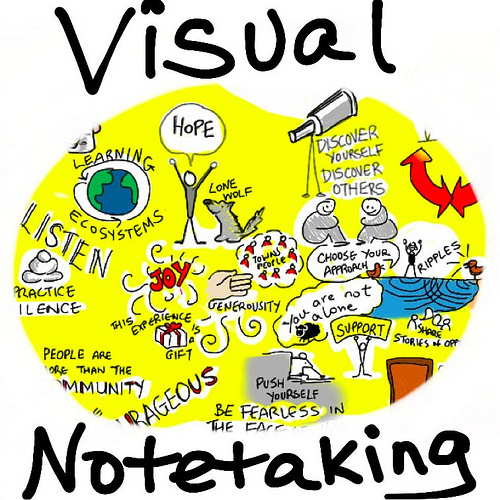 Use pictures, diagrams, charts, maps, and other graphics to aid you in learning. Keep a few different highlighters when you take notes, so you can group similar ideas together and underline important points. Learns better through hearing and speaking. Prefers to be told how to do things. Summarizes the main points out loud to help with memorization. May concentrate better with soft music playing in the background. To prepare for exams, rehearse or say information out loud. Use auditory tools such as lectures, videos, discussions and recordings. Discuss what you are learning with other students, a friend, or study group. Learns better using a hands-on approach. Prefers to learn using demonstration, followed by doing the activity. Practicing a task helps with memorization. Sitting still may inhibit learning. Walk around as you study. Take notes on textbook readings and lectures. Use tools such as flash cards and mnemonics. Tip: You Can Have More Than One Learning Style Style! In some cases, people can have combined learning style. In that case, take learning strategies from both styles. For example, perhaps you are a tactile/auditory learner, with more emphasis on auditory. In that case, your learning strategies may be more geared towards auditory, but tactile learning strategies also work for you.